Happy Monday! It's been chilly and I wanted to make something cheery for today's post. 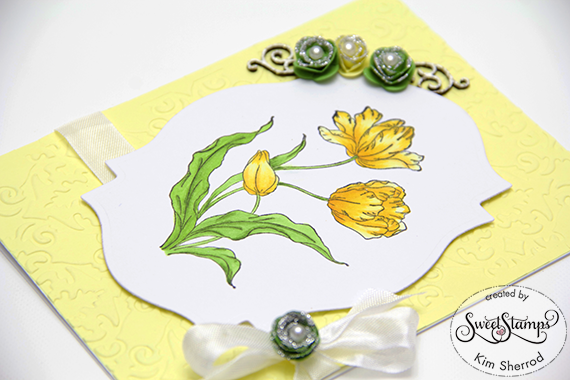 This beautiful floral stamped image is from Sweet Stamps called Parrot Tulips. I colored and popped it onto the yellow embossed cardstock using 3D tape. 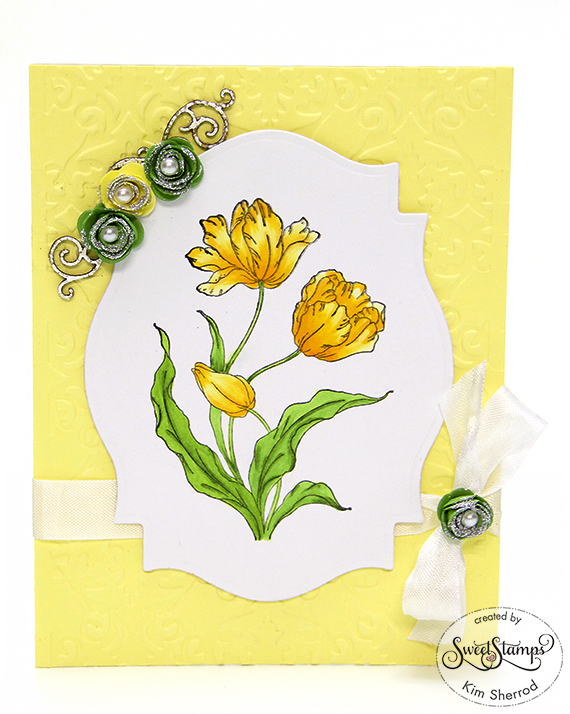 I embossed the yellow cardstock and dipped the flowers into silver microfine glitter. The flourish is a piccolo that I embossed using Aged White enamel powder. Loving this splash of yellow, really cheered me up! Thanks for joining us at Stamping Sensations this month. Great stamping and colouring Kim and so nice to see some fresh Spring colours. Many thanks for joining us at Stamping Sensations challenge this month. Wow, so vibrant and beautiful. 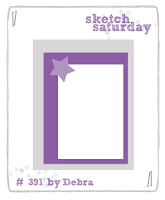 Love the embossing and the die for the focal part of the sketch. 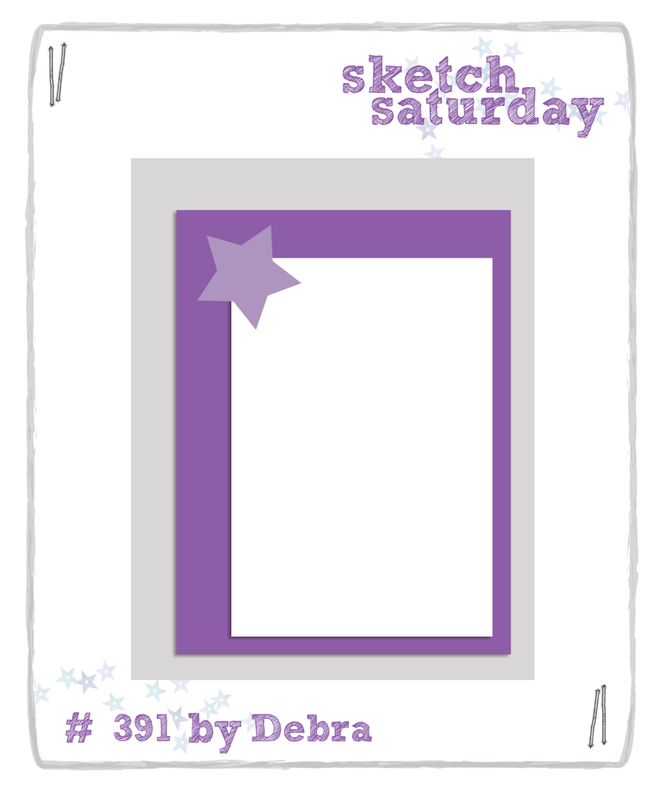 Thanks so much for playing with us at Sketch Saturday this week. This is simply gorgeous!! I love your beautiful coloring and the embossed accents and rolled roses. Beautiful card. 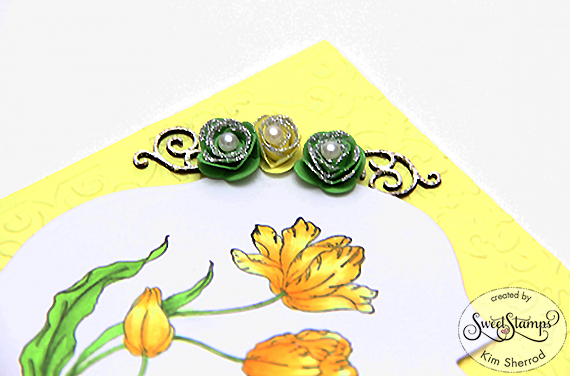 A lovely spring like card! Thanks for sharing with us at Stamping Sensations.